Tea party games have been around as long as there have been children to enjoy them. Dressing up and sitting at a small adorned table, along with favorite dolls or stuffed animals, and serving each one tea from a beautiful tiny little tea set has been among every little girl's favorite pastimes. While these "pretend" tea parties certainly tap the imagination and fill pleasing hours in the day, children also enjoy festive, planned tea parties where they can socialize and play games with friends, family and neighbors, including boys as well as girls. When planning a tea party, be sure to involve your child in the preparation and execution of the event. It will serve as an excellent learning experience, along with being an enjoyable activity to do together. Have your child write and mail the invitations, help choose party favors, select tea games, decorate the party area, and decide what foods to serve. Tip: Include this memorable nursery rhyme in your party, either in the invitation or just having a sing along. You’ll be carrying on a tradition that has lasted for generations. Serve children delicious herbal tisanes that are free of caffeine and feature fruity flavors and tempting aromas. 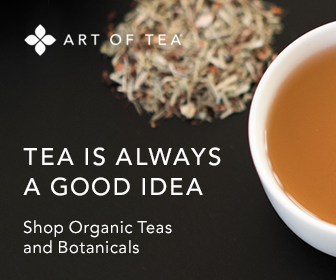 To buy kid-friendly, tasty teas , click here: Caffeine-free Teas. Recommendations include buying Kuaui Cocktail Fruity Blend, Apricot Escape, and/or Raspberry Nectar from Art of Tea (at the link provided). Sweeten with honey, molasses, stevia, or natural brown sugar. For more party themes, tea party invitations, serving suggestions and other ideas, click on the helpful articles below.